The husband-wife team of Gary and Misti Guertin bring their love for Florida and the Islands of the Bahamas to the Coastal Angler Magazine audience. Gary, hailing from Attleboro, Mass., and Cape Cod was “ship-wrecked” in Florida in 1975. As a surfer-lifeguard and credentialed teacher, Gary discovered he could teach school and surf Florida’s warmer waters during the winter months, then return to the Cape as a lifeguard in the summer months. 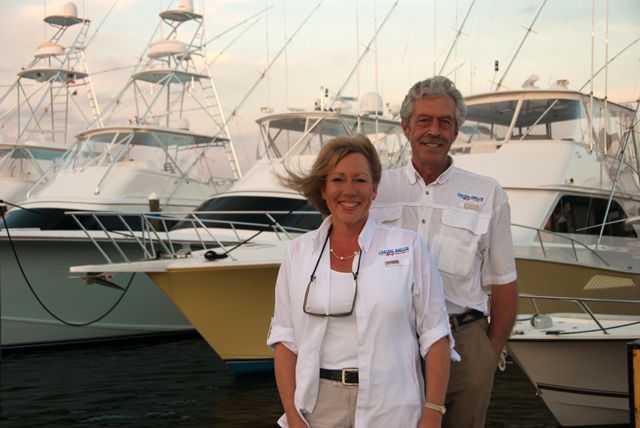 After “settling down” and marrying his bride Misti over 27 years ago, Gary transferred his teaching and hospitality skills to the marine and resort industry on the Treasure Coast, managing a boutique sportfishing resort for over 11 years, and later a destination resort in St. Vincent and the Grenadines with Misti. Florida became Misti’s home in the early ’60s when her Buckeye parents gave up the mid-west winters for the sunny skies of Florida. Misti grew up fishing and boating on the Loxahatchee River and along Florida’s eastern waterways. Her love of the water led to Bahamian and Caribbean adventures, which she enjoys sharing with her family and friends today. Though Misti’s childhood dream was to become an oceanographer, she found a niche in public relations. She left her own practice to lead the Florida office for one of the country’s largest privately owned public relations agencies. When she and Gary became co-publishers of the Bahamas edition of Coastal Angler Magazine, Misti reinstated her public relations practice and now serves a select group of clients. Gary and Misti reside in Stuart, Fla., with their six Amazon parrots, Abaco, Bacardi, Lola Marie, Tobago, Carmen and Bimini, along with their three Bahamas Potcakes, Sapona Desdemona, Peaches and Caddy. They look forward to educating readers on Florida and Bahamas fishing, boating, environmental and conservation issues and more!